Facepalm: What do retailers do when a product is not selling and is needlessly taking up shelf space? Drastically slash its price. If it continues not to sell then they find clever (or strange) ways to bundle it with other related products to make the deal seem more attractive. GameStop’s German branch was bundling the Bethesda flop with used PlayStation 4 and Xbox One controllers (the offer appears to have been pulled or is over now). The game released at $60, you can now pick it up for $40 by itself. Used controllers are going for about $40, so GameStop was not even bundling it for a markup. According to Kotaku, German electronics retailer Saturn has an even more bizarre promotion involving the game. It is selling the Fallout 76 Xbox One bundle bundled with Fallout 76. No. You did not read that wrong. You get an Xbox One, a controller, a copy of Fallout 76, and another copy of Fallout 76 (below). To say that Fallout 76’s reception has been dismal would probably be an understatement. Critic and user reviews have been overwhelmingly negative. 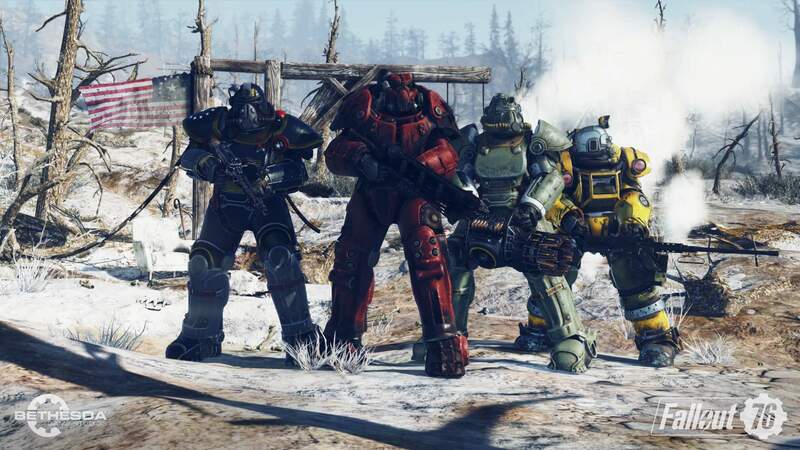 The game's sales figures by the end of Q4 2018 were down 80 percent compared to Fallout 4. Despite how poorly the game has performed, Bethesda has not written it off. In fact, it has pledged to stick with it and support it into the foreseeable future. Whether its efforts will turn things around, remains to be seen.